The best defense is a good…offense: One common factor many people with back pain share is that their back has taken over for a weaker core. A stronger core means your back will be less inclined to try and “pitch in” during daily tasks, sports, or work. Focus on strengthening your core when your back isn’t hurting and you may not need to worry about back pain! Exercises like planks and bridges can help you engage and work those muscles you should be using so that you don’t hurt the ones you shouldn’t be using. Sleep with a pillow between your knees: Your sleeping position can stress your back without you even knowing it. Now isn’t the time to be stubborn about your favorite sleeping position. Try sleeping on your side with a supportive, firm pillow between your knees. You can also put a supportive pillow behind you to keep you from rolling onto your back as you sleep. Alternate ice & heat: If you are waiting to see your doctor or physical therapist, alternating heat and ice can be a better combination than just sticking with one alone. We know it’s tempting to park yourself on the sofa on your heating pad and that the heat feels good – however, in the case of an acute injury to your back, ice will help calm inflammation. Try short rotations of 10-20 minutes of heat and cold. Don’t move into your bed: We know it’s tempting to lie flat in bed- and that used to be standard treatment. We now know that immobility doesn’t help your back heal any faster and doesn’t fix what caused the break-down to begin with. If your back is bad enough you want to crawl into bed, make an appointment with your provider. Talk to Your Physical Therapist: There are lots of causes of back pain, and very few result in the need for surgery. A physical therapist can be ideal for helping you identify and correct what may be causing your back pain – including movement patterns, posture, muscle weakness, and more. Unlike pain killers, your PT offers you both insight and potential for lasting improvement. If you’re one of the millions of Americans suffering with back pain, don’t wait – call us today. We’ve helped many clients handle back pain that is their primary complaint, as well as back pain that has arisen from other issues. Back pain is a common problem but it doesn’t have to be a life sentence. 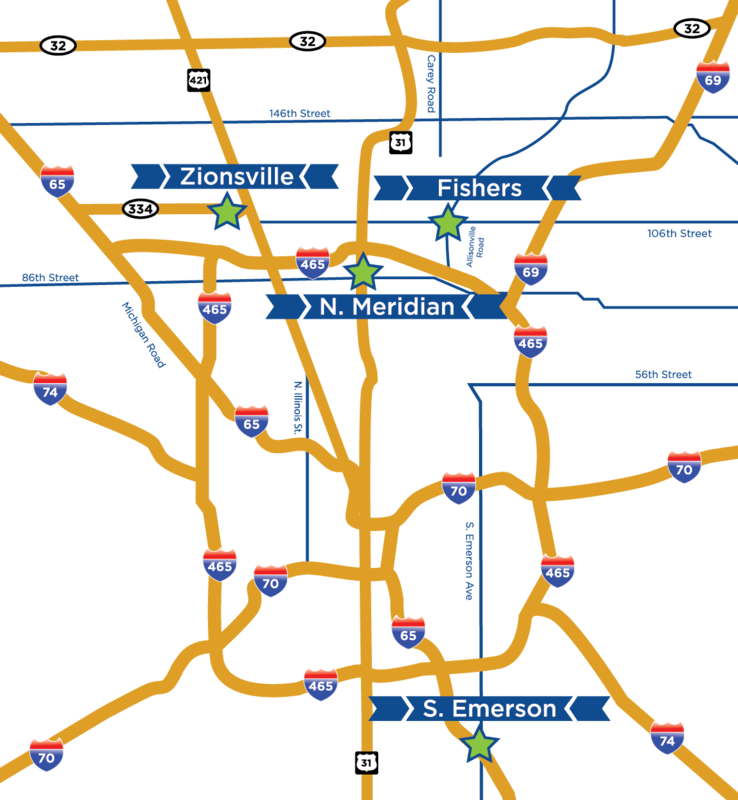 Body One Physical Therapy is locally-owned with five convenient locations serving central Indiana: Downtown Indianapolis, North Indianapolis, South Indianapolis, Zionsville, and Fishers. Make your appointment today and let us help you get back on track!